FareCast: Cast the Internet Bones, Know When to Travel ~ Android Forever! Long, long ago (or maybe yesterday, depending on where you live), people would cast bones, or chicken guts, to predict future travel prices. Modern-day humans, sadly, have no way of predicting anything, due to our amazing advances. Until now, that is. You can always find out what fares are, what hotels rates are, etc. That's internet child's play. What about when you'd like to know if fares and rates are going to go up or down? What do you do then? There's nothing you can do, except read the papers like everyone else, like a schlub, like a lemming, like a dweeb. 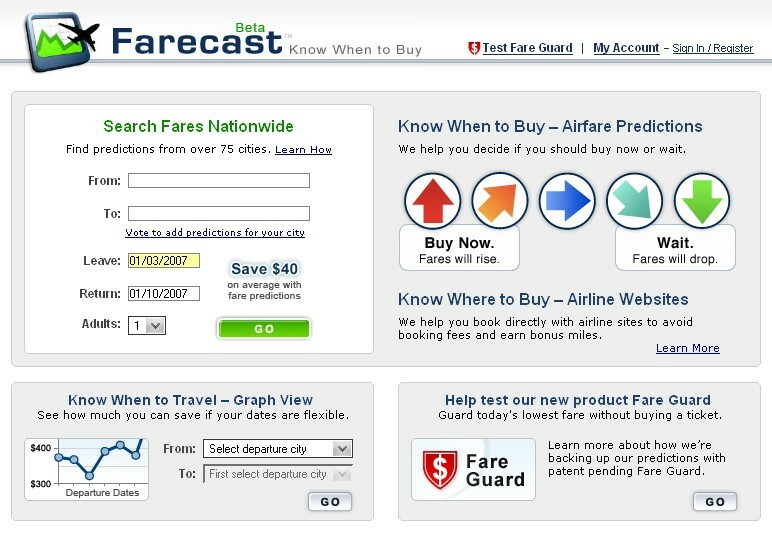 But if you're on the bleeding edge, if you are savvy, if you read Barry's Best every day, then you can try Farecast, the internet site that will tell you what's going to happen with travel prices. They claim that using fare predictions saves an average of $40. Your own mileage may vary. If you're planning a trip, try it out, tell us how it works. Click here to visit Farecast.